Chicago. Network Vision is nearly infamous among Chicagoans. Chicago has not been an easy market for Sprint so far. We reported in a previous article about some of the challenges Sprint has faced in its Windy City deployment. Even though this market has yet to be announced by Sprint, we are happy to report to you that Chicago appears to be on track for a September launch. The Sprint Chicago market covers most of Northern Illinois and the adjacent suburbs of NW Indiana. Sprint's Network Vision OEM Samsung has been actively deploying in the Chicago market since December and is making good progress. As of this week, there are over 300 Network Vision sites that have completed upgrades. These sites are located throughout the market. But all outside the Loop. Network Vision Sites in the Chicago market. More than 300 Network Vision sites are complete in the market. It was Sprint's original plan to launch markets when they reached 50% of sites converted to Network Vision. However, it has now been determined that Sprint will move up launches sooner than 50% completion in several markets. This is likely to maintain a Mid 2012 launch in markets that have already been announced. However, in an unannounced market like Chicago, we don't know if they will resume pushing back market launches to 50%, or if they will now settle on a 30% - 40% completion to be the new normal for market launches. If Sprint waits for 50% completion to launch the Chicago market, September would be the launch month should Samsung stay on schedule. It is believed that Sprint will launch the market earlier, with less than 50% coverage. This doesn't sound like enough, but it would provide pretty good coverage. Even Verizon doesn't launch on all sites in a market initially. Usually less than 50%, then filling in with more and more sites every few months. Sprint is not reporting any of these live Network Vision sites in the Chicago market as currently broadcasting 4G LTE, only 3G EVDO. According to the NV schedule, these should have started coming online in May with LTE. However, none have shown up as LTE active to date. This most likely means that either the backhaul is not quite ready to service 4G LTE, or the 4G cores that these sites are tied to are not quite ready for LTE traffic. A huge backlog of LTE sites will probably come online in this market suddenly when the network is ready. 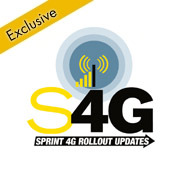 We are getting reports though of S4GRU members in the Chicago area, especially in the Merrillville and Hammond areas, who have been able to connect to 4G LTE for brief intermittent periods. So there are sites that are starting to get LTE capabilities working. They just have not been turned over to Sprint yet from Samsung. We currently do not have the formal "launch" date for the Chicago market. We believe they are targeting a launch month of September based on reports internally within Sprint. After reviewing the schedule, we can see a path to get there. Sprint will likely announce a launch date for this market, and a few others like Austin, Boston, Washington DC and Los Angeles around the time of the first launch. Sprint's schedule for this market currently has 307 Network Vision sites complete, which is almost one third. Samsung is progressing very well. It appears that Sprint and Samsung are speeding up the schedule, as it looks like they are now ahead of schedule in this market. S4GRU has examined the schedule in great detail in this market and sees that most of the sites will be complete by December 2012. However, there are a few sites that will likely linger past the completion. In our estimation of the schedule, Samsung should have no issues meeting Sprint's schedule completion date. Photo of Chicago skyline provided courtesy of Wikimedia Commons. Awesome write up. 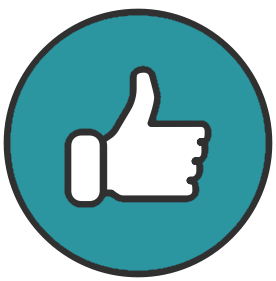 Can't wait to see some of these sites start to go live! I can confirm the intermittent 4G in northwest Indiana...have been watching it carefully over the last few days, and have been thinking it must be close as it's been active more and more. Speeds have usually been in the 5K to 10K range, but have seen a lot higher now and then. Question to those in the know...are speeds better when signal is stronger? I get a weak 4G signal in my neighborhood and the speed was really wimpy. Samsung better be ahead of schedule in Chicago since this is their only Network Vision market so far. They gotta start deploying crews out at San Francisco and start that market. I was in the sprint store last week and the salesman was talking about the LTE rollout in chicago. He said it's looking like an August launch, which might be in line with a less than 50% launch. The lack of loop towers on the map is interesting, though I'm not complaining. Looks like I'm going to hold onto my Moto Photon a little longer here in the windy city. I get decent wimax speeds and when tethered to my new ipad its fantastic. I dont want to give that up untill LTE in Chicago is up and running for a few months. With all the new LTE phones coming out plus the new Iphone I will have tons of choices, but the bottom line is can I root or jailbreak because I will never pay for hotspot when I can use wifi tehter or mywi for free! I can confirm the intermittent 4G in northwest Indiana...have been watching it carefully over the last few days, and have been thinking it must be close as it's been active more and more. Speeds have usually been in the 5K to 10K range, but have seen a lot higher now and then. Question to those in the know...are speeds better when signal is stronger? I get a weak 4G signal in my neighborhood and the speed was really wimpy. LTE speeds are very signal dependent. If you created a graph with peak speeds at full signal (-65dBm) having 30Mbps and drew a straight line from there to a weak signal (around -110dBm) you would roughly get an idea of what kind of speeds to expect with varying signal strengths in between. I am greatly looking forward to this. Especially since I want to upgrade my phone in the very near future. Was just in Chicago this weekend. 3G was terrible in streeterville, gold coast, and near northside. The entire city is awful,that is why Im not leaving my wimax phone until LTE is proven here in Chicago. Wimax has a little life left! any word on a peoria area launch? How is the network fairing now? I kept reading on different forums that network was terrible in the Chicago area (dropped calls, missed calls, etc). Sprint will be happy when this market is finished. That includes the loop. It's going to be funny/sad frustrating when they "launch" LTE in Chicago and the closer you get to the city, the worse your 4g/3g will be. Not sure why I'm so negative on this. I think public opinion on Sprint has me down. Robert, do you have any idea why they have neglected to do any upgrades in the center of the city so far? How is the network fairing now?I kept reading on different forums that network was terrible in the Chicago area (dropped calls, missed calls, etc). It is getting better. The dropped connection issue is caused from when a customer travels from a Samsung Network Vision cell and then transfer to a legacy Motorola cell on the same channel. This is more of a problem in rural areas and suburbs where most carriers were deployed on the same channel. However, in the more dense suburban and urban areas, there are far more channels deployed and less likely that a customer would transfer from a NV cell to a legacy cell on the same channel. I don't see it in those terms. First off, any coverage lapses are temporary. After launch, a dozen new sites or more will come live every week. Filling in more and more and more coverage. Second, remember that the spacing in the dense urban areas is much closer. So they don't have to have every site complete to get good coverage in the Loop. Tony, I think you suffer from too much information. Verizon did not deploy on all their sites in the Loop at their launch. Maybe 25% of them. But they were able to show a complete coverage map, and that's all anyone knew. And customers were happy with that. If I created coverage maps instead of site maps, you all would be happier. Ignorance is bliss. I wouldn't call it neglected. I would call it schedule order. They started Network Vision in the outer areas first where they have less population and customers to tick off. There is a huge learning curve with Network Vision. It is something that has never been done before. Now they are working their way in. This has been reported as being done this way since my first Chicago article last Winter. The plan for the Chicago rollout has always been to start outside and deploy towards the city. I work downtown in the west Loop & I can barely pull down a 1xRTT signal while standing outside by the river! Sure wasn't like this two years ago but the last 8 months or so have been atrocious. The plan for the Chicago rollout has always been to start outside and deploy towards the city. I work downtown in the west Loop & I can barely pull down a 1xRTT signal while standing outside by the river! Sure wasn't like this two years ago but the last 8 months or so have been atrocious. I'm glad your suffering will be ending soon. Some less fortunate markets, like mine, will have much more suffering before the end. Not sure what they where doing today, but it was BAD. I work out in the boonies (but near the highway) and usually get 1-2 bars on my epic but can make phonecalls etc. Today leaving work I was going from 0 bars to 5 bars to 0 bars to 2 bars to 5 bars to 0 bars...etc etc. Trying to call my wife on her Epic Touch in a 3 minute conversations dropped 6 times. Which really made it a 5+ minute conversation. I think I dropped 4 times and she dropped twice. I moved maybe a mile down the road during this time. Holding out for september and hopefully better service. Not sure what they where doing today, but it was BAD. I work out in the boonies (but near the highway) and usually get 1-2 bars on my epic but can make phonecalls etc. Today leaving work I was going from 0 bars to 5 bars to 0 bars to 2 bars to 5 bars to 0 bars...etc etc. Trying to call my wife on her Epic Touch in a 3 minute conversations dropped 6 times. Which really made it a 5+ minute conversation. I think I dropped 4 times and she dropped twice. I moved maybe a mile down the road during this time.Holding out for september and hopefully better service. It's been bad by where I work as well (Gurnee). It was better early this week, but now I'm back to forcing my phone to roam so I don't drop calls and get at least a trickle of data. i saw them working on the nv in lansing il i stopped and talked to the guys for a little and they said chicago should be done by the middle of next month made me feel a whole hell of alot better cause i was about to switch to vzw. The whole market will not be done next month. But perhaps their contract wraps up next month. If they continue at the rate they have been deploying lately, the may be able to complete October 1st over the whole market. Which is way ahead of schedule. I'm sure the recent lack of inclement weather has significantly helped their deployment schedule. Robert, I know that money is a huge part of the schedule and why it takes months to deploy a market, so do you know why chicago is being ramped up? I would hope that sprint has heard the complaints of their customers (or threats that they will switch to VZW, lol) and dedicated more resources to get the ball moving faster. First, if they are not spending more money to make this happen, is there a chance that other markets will see a speed increase (and hopefully other markets can start earlier)? And secondly, if they are spending more for chicago and it was not originally in the budget, will any other markets suffer slower/later launches because of this speed up? Robert, I know that money is a huge part of the schedule and why it takes months to deploy a market, so do you know why chicago is being ramped up? I would hope that sprint has heard the complaints of their customers (or threats that they will switch to VZW, lol) and dedicated more resources to get the ball moving faster. First, if they are not spending more money to make this happen, is there a chance that other markets will see a speed increase (and hopefully other markets can start earlier)? And secondly, if they are spending more for chicago and it was not originally in the budget, will any other markets suffer slower/later launches because of this speed up? There is really no way to speed up Chicago faster than it is...money is not the issue. I don't know if you fully grasp the scope of Network Vision. Network Vision is not just slapping LTE panels on a tower and walking away. Network Vision is a complete replacement of the Sprint network. At each site, every piece of equipment, every cable, every cabinet, is all replaced and completely reconfigured. Also, Sprint is deploying it over every single site in its Network. Every one. The rate at which the Chicago market is moving now is completely unprecedented and has NEVER been reached before ever in American wireless history. When Verizon came into Chicagoland and started adding LTE to sites, they added them to only one third of their sites. They slowly add more and more over time making the market more dense. Sprint not only has a much larger amount of work they are performing at every site, but they also are deploying on every site in the market. If you were to do a site count comparison, the number of sites Sprint/Samsung have converted to date is probably equal to the number of Verizon LTE sites in the market now (after 1-1/2 years). And Sprint is still going full bore to complete them all. If you look at the work in the proper context, you cannot help but be in awe of the enormity of it all. And now that Sprint/Samsung are even pulling ahead of schedule in the market is extremely impressive. Sprint will soon launch a state of the art network in Chicago. But there will be some bumps in the road along the way. I don't believe Sprint could spend any more money to expedite Chicago faster than now. I think a faster deployment than now is not feasible. The only place Sprint could spend more money to speed up Network Vision at this point is in expediting 2013 markets.